This Sunday the 19th June is Fathers day, I am sure that you are all well aware as the shops have been stocked with cards and gifts for weeks now. However even though the shops are filled with gifts I actually really struggle on what to buy my own dad and my partner for fathers day, let's face it their is only so many beer glasses and coffee mugs with 'dad' or 'grandad' on that they need. 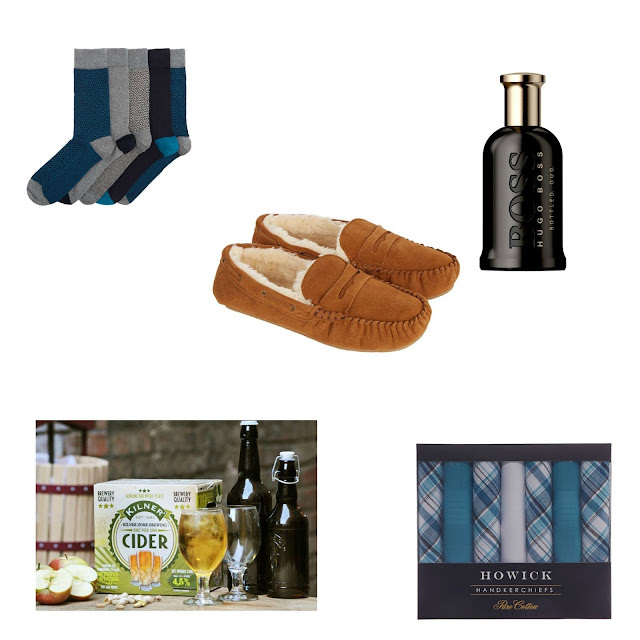 So I have decided to scour the net and find some brilliant gift ideas for the special man in your life, luckily I found plenty from House Of Fraser. I do like spoiling my dad on fathers day as I no longer have a mum so my dad is like a mum and dad all rolled into one, he is always helping myself and my brother out and we are very lucky to have him. 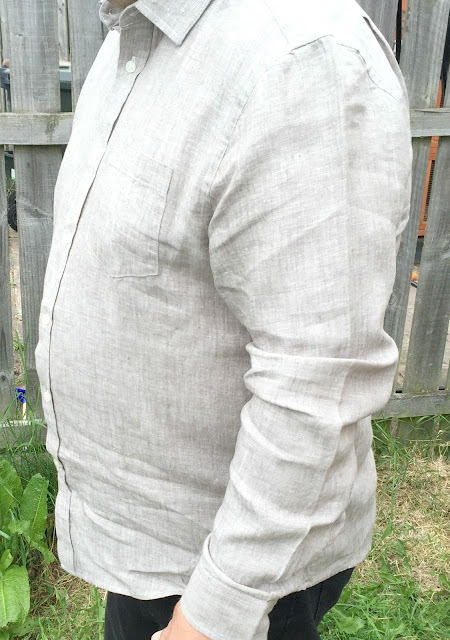 I also like to spoil my partner as I don't normally buy him much for fathers day as it is his birthday two day's beforehand so he normally gets a bit neglected on fathers day, bless him. I have found a few things that I know they would love to receive on Sunday morning for Fathers day. Socks - Every single year for Fathers day and Christmas my dad always asks for socks as does my partner. I know it is such a typical 'dad' gift but I honestly think you can't go wrong with a pack of socks, this five pack is £12. Slippers - Following on from socks is slippers, my dad actually had a pair of slippers like these chestnut moccasins £24.50 when I was a child. I am always nagging my partner to take his shoes off in the house, so I think I need to get him some slippers to encourage him to stop wearing shoes indoors. Aftershave - I honestly think when buying gifts you can't go wrong with aftershave, it is a nice gift and is a little treat as everyone likes to smell nice. The only scent that my partner wears is Hugo boss (from £59) and it just reminds me of him as he wears it every single day, his current bottle is starting to run out now so I think I need to treat him to a new one soon. Cider making kit - I like finding unusual gifts for people and I think that both my partner and dad would love to receive something like this. It is unusual and something that neither of them would expect, which are always the best kind of gifts in my opinion. 35 pint cider making kit £31.50. Handkerchiefs £9.80 another typical dad gift but again something that my dad actually asks for every single year and something that he finds useful. 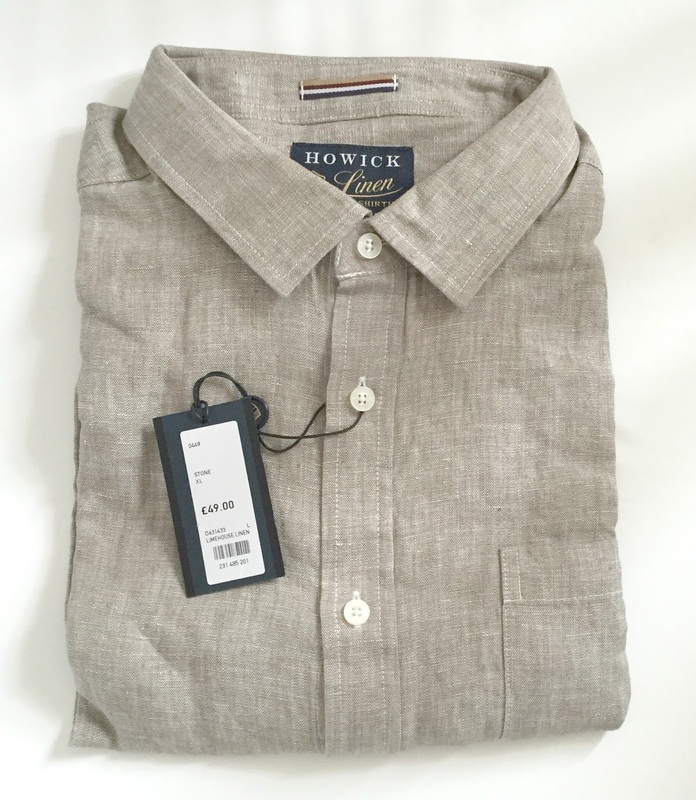 I also love this Howick linen limehouse coloured long sleeved shirt which is perfect for summer time. I have actually given this to my dad as he is off sunning himself in France at Le Man's (its a car race) which he attends every single year, so I never see him on fathers day. He loves the shirt and said that it is a great fit, comfortable and I know that he will wear it all the time as he always wears shirts. Sorry for the rubbish photo of him wearing it he said he did not want to "be on the internet" he really doesn't understand social media and blogging bless him and I don't think he even understands what a blog is. So these are the gifts that I have my eye on for my dad and partner for fathers day, hopefully it has given you some gift inspiration to treat your own dad this Sunday. Disclosure - Contains PR Sample. For the first time in AGES I'm organised!! I still need to get mine, waaah.